The URL to your stream can be customized with many variables. These include streaming streaming server used, stream name, and stream key. 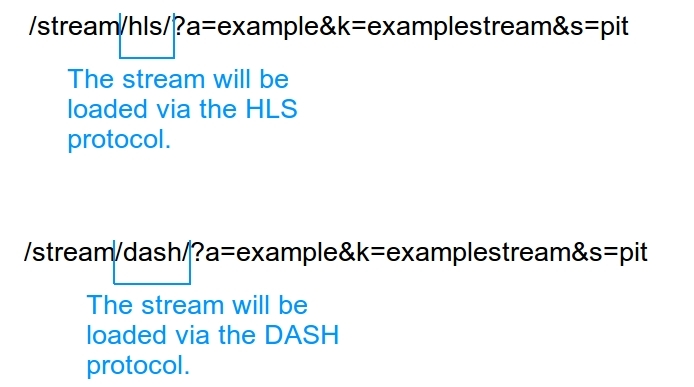 The above example was created for the user "example" with a stream key of "examplestream", and a preferred streaming server of pit (Pittsburgh). To customize for your own stream, simply change these variables for your own stream. Please contact us to obtain stream username and key information. Note that if you have no preference over live stream server, you can exclude the server from the URL if you would prefer that our page automatically directs your viewers to a round-robin database of available streaming servers. 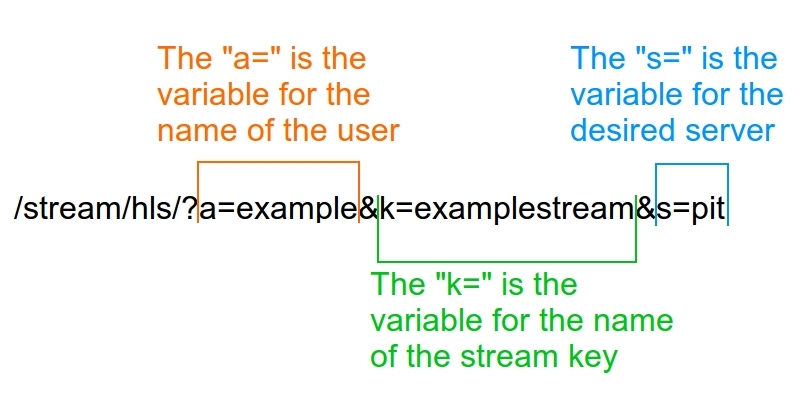 The user and stream key, however, are required in order for the stream to be displayed. Below is a table of our available streaming servers. For your users best experience, it is reccomended (but not required) that you choose a server geographically close to your target viewers. For questions or issues, please contact us here.